Concept on identifying causes for infections during the fracture management process in hospitals. The BFCC Knowledge Platform gives you a general overview of fractures and fracture management. To compare within this topic area differences and similarities in the Baltic Sea Region our country profiles will help you. The special interest area contains links to online educational platforms for clinicians and contact to international orthopaedic federations. 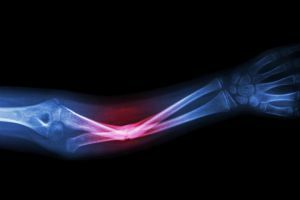 In this section you find links to knowledge for clinicians and experts provided by highly recognised orthopaedic organisations. 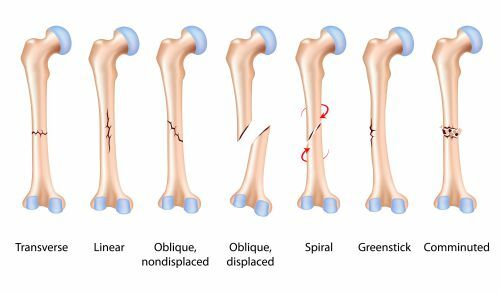 The AO foundation offers a comprehensive educational platform, including the internationally established classification of fractures and dislocations and an associated surgery reference. The OTA platform offers numerous webinars and live courses. An adult human skeleton is made up of 206 bones. Bones provide structure, protect inner organs and allow motion. 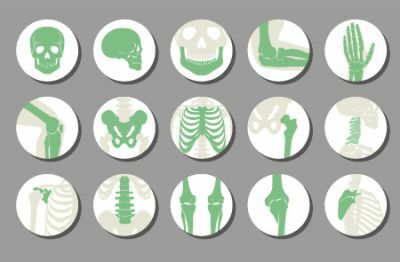 Different bones have various functions. Short bones provide stability and some movement. Long bones facilitate movement. Flat bones and irregular protect inner organs. Sesamoid bones are bones situated within tendons to protect them. Bones are composed of different osteocytes which are embedded in a bone matrix consisting mainly of calcium rich hydroxyapatite, proteins like collagen type I, and water. The periosteum is the membrane that covers the outer surface of all bones. It has supporting function and provides a source for nutrients for the hard bone. Tendons and ligaments are attached to it. The cortical bone is located below the periosteum, and is the hard outer layer. Cancellous bone tissue (also known as spongy bone tissue) is located further inside the trabecular bone. This construction facilitates stability while, at the same time, being light in weight. In adults mainly fatty tissue is present interstitially. In flat bones bone marrow producing red corpuscles is also present. Broken ends of the bone line up and are barely out of place. Skin may be pierced by the bone or by a blow that breaks the skin at the time of the fracture. The bone may or may not be visible in the wound. In this type of fracture, the bone shatters into three or more pieces. 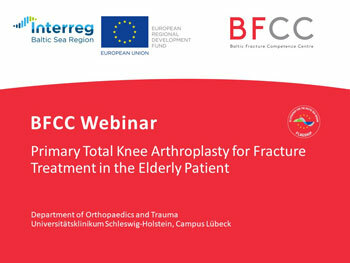 Further info can be found on https://orthoinfo.aaos.org. 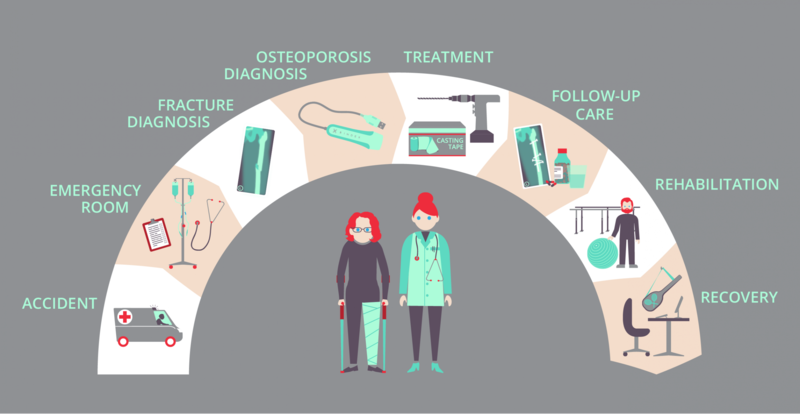 The most common causes of fractures are trauma, osteoporosis and overuse. Orthopaedic implants include prostheses for hip, knee, ankle, shoulder and elbow joints as well as fracture fixation devices such as wires, pins, plates, screws. Bone implants must possess both structural and surface compatibility with the host tissue. Different materials are used in orthopaedic devices and each device has its own advantages. Commonly, metals (mainly alloys like titanium alloys or cobalt-chrome alloys), polymers, ceramics and polyethylene are used. Orthopaedic implants are intended to restore function and withstand high levels of mechanical stresses and wear in the course of normal activity. Another type of implants is the “temporary” implants, as for example the resorbable bone substitute materials. These materials often have a calcium phosphate composition to mimic the composition of bone and are used to fill up the bone defects occurred after trauma. Over time this bone substitute material will be resorbed and remodelled into new bone. There are bone substitute materials which are combined with antibiotics to prevent the risk for infections, which are common complications after trauma. According to the AAOS a cast is the most common type of fracture treatment, because most broken bones can heal successfully once they have been repositioned and a cast has been applied to keep the broken ends in proper position while they heal. During an open reduction with internal fixation, the bone fragments are first repositioned in their normal alignment, and then held together with special screws or by attaching metal plates to the outer surface of the bone. The fragments may also be held together by inserting rods down through the marrow space in the center of the bone. With an external fixation, metal pins or screws are placed into the broken bone above and below the fracture site. The pins or screws are connected to a metal bar outside the skin. This device is a stabilizing frame that holds the bones in the proper position while they heal. The process of normal fracture healing involves 2-3 weeks with inflammation and swelling. 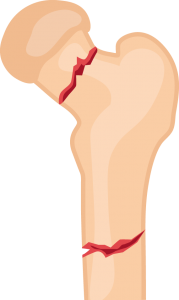 By week 4-8 post-injury a decrease in swelling occurs as new bone formation begins, and the fracture site stiffens. By weeks 8-12 post-injury, hard callus formation occurs and new bone bridges the fracture site. The bone remodels to correct deformities in the shape and loading strength. This can take several years, depending on the site. Acute complications are normally those appearing as a consequence of the trauma event and include neurovascular and soft tissue damage, blood loss and localised contamination and infection. Sometime after the treatment, delayed complications like non-union, embolic complications, osteomyelitis or loss of function may occur. Patient-specific risk factors like age, nutritional status, smoking and alcohol use as well as co-morbidities especially diabetes affect the incidence and the severity of complications. The nature of the fracture site as well as the quality of surgery also have an influence. Complications are often not clearly definable, and a lack of consensus in their assessment exists. One of the worst complications after orthopaedic surgery and traumatology are infections. Going hand in hand with microbial invasion, inflammation and bone destruction occurs during bone infection. Osteomyelitis often is triggered by the gram-positive bacteria Staphylococcus epidermidis, Staphylococcus aureus as well as the gram-negative bacteria Pseudomonas aeruginosa and Escherichia coli. In principle, the greater the damage is to surrounding skin, muscles, and blood vessels, the higher the risk of infection. To prevent such an infection, antibiotics are administered preventively during surgery. Some bone substitutes or bone cements offer the possibility give a local administration of the antibiotic, which is more effective than giving it systemically. A bone infection can be difficult to overcome. Long-term antibiotic treatment may be necessary, as well as additional surgery. Most of the fractures heal without a problem, only a small percentage does not heal. The U.S. Food and Drug Administration FDA defines a non-union as a fracture that is at least 9 months old and has not shown any signs of healing for 3 consecutive months. This chronic condition is characterised by pain and functional disability. A number of subsequent treatments may be necessary, thereby affecting increasing morbidity and extra costs.